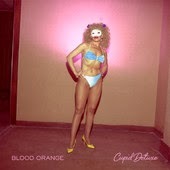 Blood Orange's Cupid Deluxe tops the chart, followed by Arcade Fire, Neil Young, Billie Joe + Norah and Tennis. This week we only list the first 20, there were far too many Christmas and really old releases clogging the chart. First is still Arcade Fire's Reflektor, then Neil Young, Billie Joe + Norah, Blood Orange and Nick Lowe. Arcade Fire's Reflektor still tops the chart, followed by Blood Orange, Billie Joe + Norah, Tennis and The Head And The Heart. 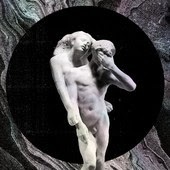 Arcade Fire's Reflektor tops the chart again (109 spins), followed by Blood Orange, Polica, The Head and the Heart and Arctic Monkeys. Arcade Fire's Reflektor still tops the chart (82 spins), followed by Blood Orange, The Head and the Heart, Arctic Monkeys and Cate Le Bon.